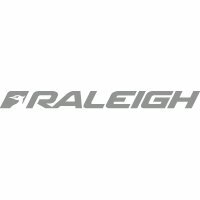 The Raleigh Adjustable Propstand can indeed be adjusted to fit most sizes of bike, whether it has 20 inch wheels, 700c wheels or any size between. The Raleigh Adjustable Propstand is mostly steel construction with a non-scratch, grippy plastic 'shoe'. This propstand telescopes in length from approx 23 to 31cm (measured from the bottom of the chainstays to the sole of the propstand's 'shoe'). Like most kickstands, the Raleigh Adjustable Propstand clamps to the chainstays immediately behind the bottom bracket, in front of the rear wheel. When the propstand is not required, a sideways flick of your foot pivots it in-line with the left hand chainstay, so it's out of the way when you cycle. That's why propstands are often called 'kickstands'. You will need a 14mm spanner to fit the propstand and an 8mm spanner to adjust its height. 250g - based upon weighing one of these propstands at Bike Co-op HQ in September 2014.